Summer's ending, and that's fine. Out with the sweat-stained t-shirts and the farmer tans, in with the autumn winds and the year's greatest opportunity for clothing-based self-revitalization: shopping for fall fashions. Here's a fun accessory to spice up any September wardrobe, even if it's just your dad's college sweatshirt that you're wrapped in desperately during an ill-fated trip to the now-frigid local beach: a copy of The FADER Fall Fashion Issue! 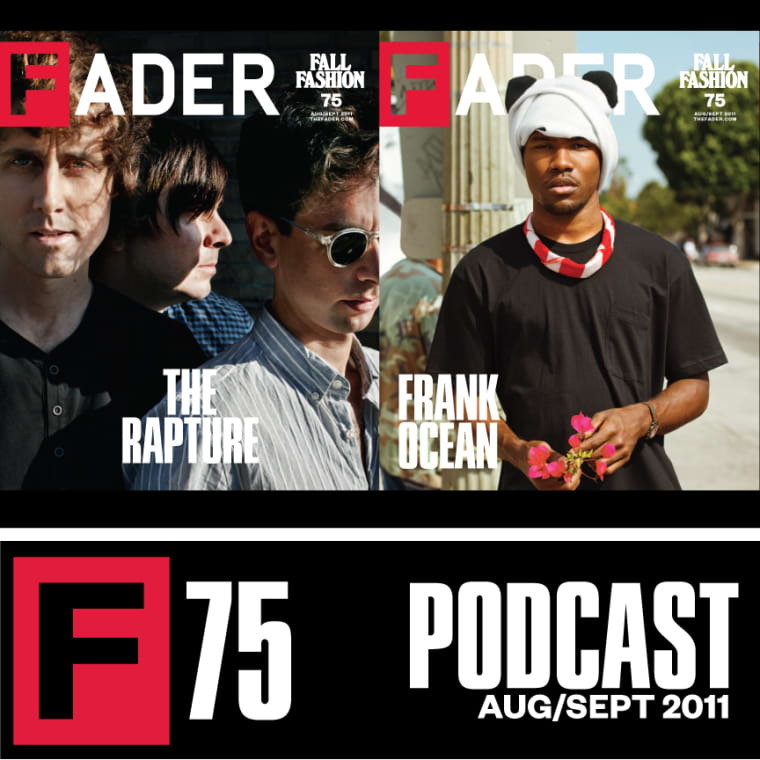 And for those moments when print magazines and iPad editions don't quite "go with your shirt," we've prepared a clashing-proof mix featuring FADER #75 cover stars Frank Ocean and The Rapture, new tracks from Austin's elite Pure X and Silent Diane, plus a hardy helping from the issue's supporting cast: Balam Acab, Alex Clare, Nguzunguzu, Main Attrakionz, Unknown Mortal Orchestra and 2:54. Every issue of The FADER has an audio pairing! Sign up for our podcasts on iTunes or via your favorite RSS reader to get them all. Alex Clare, "I Love You"
Main Attrakionz, "I Gotta Youngin Doe"
Unknown Mortal Orchestra, "Ffuny Friends"